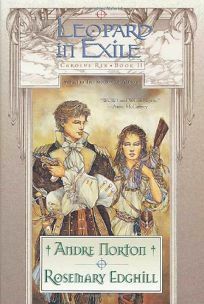 Veterans Norton and Edghill's sequel to The Shadow of Albion (1999) fails to do full justice to its rich setting and promising premise an early 19th-century alternative world where the American Revolution never happened and where magical spells are as real as rapiers. Since there's been no Louisiana Purchase, Napoleon is free to put the Marquis de Sade in charge of New Orleans. Swarms of characters work to thwart de Sade's diabolical schemes as well as to reunite lovers. Thomas Jefferson is just a loyal colonial official, so if anyone is to act fast enough to save North America from de Sade, it'll have to be an uneasy alliance of secret agents. Meanwhile the tribal deities of the unsubjugated Indians are as powerful as the Christian saints in trying to influence the future. Despite all the action, the story never comes to life. Maybe there are too many characters to keep track of, let alone care about, in short scenes that jump all over the landscape. Maybe this being the second book in a series reduces concern that the hero and heroine won't come through successfully. Maybe the routine prose and the frequent self-congratulatory footnotes slow the story down. Fans of Regency romances and contra-historical fantasies should enjoy it anyway; other readers probably will appreciate the authors' ingenuity but feel disappointed that all the swashbuckling spies and magical intrigue add up to so little. (Apr. 30) Forecast: Fans of SF and Fantasy Grand Master Norton may suspect that coauthor Edghill (the pseudonym of Eluki Bes Shahar) wrote the bulk of the book which could undercut sales.